Today, GearJunkie.com launches a new channel portion on its website and the second iteration of the Choose-Your-Adventure Sweepstakes. For this summer’s contest, which follows a successful “choose-your-adventure” sweepstakes last winter with REI Adventures, Gear Junkie LLC has teamed with The Alleghenies Tourism Council to award a lucky winner and guest an all-expenses-paid adventure vacation to The Alleghenies. In addition to airfare and the all-expenses-paid trip, the winner will be outfitted with gear from sponsors including Wigwam, Duofold, and Teva. 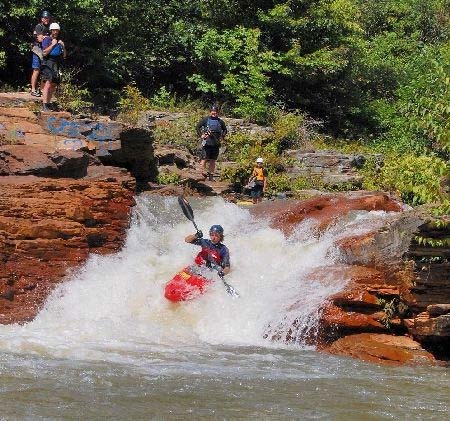 The winner and a travel companion will pick between one of five adventure trip itineraries, including mountain biking, hiking, fishing, paddling, and road biking in The Alleghenies.